For once I am actually writing this post on the day itself, although I must admit that the pictures were taken earlier. It was our friend's funeral yesterday so I did think ahead ready for this morning, otherwise there would have been nothing but a tidy, empty desk to look at. 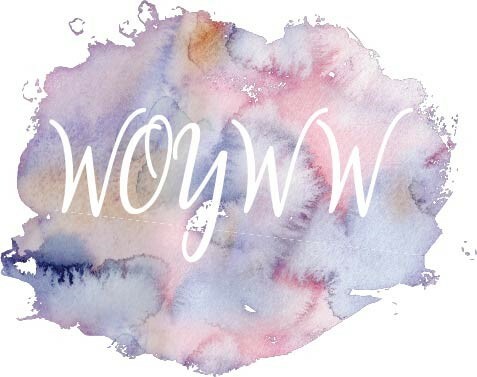 Check out what WOYWW is all about via the Stamping Ground, where Julia keeps us all in order. My side of the desk is staged, but it does show the results of some actual crafting (posted yesterday if you are interested). I have one more day of drawing to do for Inktober then I will have completed the challenge for the first time. Although yesterday was difficult, the past week has not been all sad. On Sunday Christine (Bishopsmate) and her husband Peter came over to the shed for a mini WOYWW meet up. Peter brought his train with him that he was working on at the crop and takes Eva's place on the other side of the desk this week, as she is away for half term. Christine brought some water colouring and stamping with her and there was also cake! I hope to be making this Midlands Meet Up an annual event for the first Sunday of half term each October, so if you are within travelling distance, you will be welcome next year. The specialist I saw at my hospital appointment yesterday morning assures me that the nerve studies that they have done on my left arm and hand show no problems so I am being discharged for the moment. I did get to see some of my art work displayed rather prominently on Hochanda yesterday in the 4pm show with Louise Withers, when I watched the recording later. Charlie seemed particularly taken with the mask that I had made and decorated using the Amsterdam acrylic paints (see HERE). As you can tell, an up and down day yesterday. I am off to the NEC on Friday, thanks to winning tickets from Claritystamp. If anyone is going to be there, I will be watching the live Clarity hour at 12pm at the HOCHANDA pavillion. I'll take plenty of pictures! As 100 years since the first Armistice approaches, I wanted to once again count my blessings. We have much to be thankful for, to all those men and women who have given their lives over the years that we may have the freedoms we enjoy today. Rather than use a poppy stencil, I decided to suggest the symbol of remembrance through the colours I chose. I have been enjoying the October 'Inspired by' prompts over on Nina Ribena's Art Journal Prompts and More. Week 3 was 'Inspired by Flowers' and the choices of artist were Monet, Heidi Reil, Yvonne Coomber and Georgia O'Keefe. I chose to create my page in the style of Yvonne Coomber. I thought I'd share some more ideas for Christmas cards. Once again, some quick and some more complex, some traditional and some, not so much! See HERE for details of the first make, I used the cling film technique to create the background. I thought I'd share some past Christmas card makes today. Some are quick and some take a little longer to make. The first one was even shown on Hochanda (see details of make HERE). This is round three of sharing cards which I have made, suitable for men and boys. It is the category that I am most frequently asked to come up with ideas for. The first one uses the Tim Holtz Hipster stamps (see HERE for step by step). I haven't crafted for nearly a week, but as I was up early today and had some time before I needed to go out, I thought I'd check out the current challenge over on Tag Tuesday. It is Edgar Allen Poe and I decided to make a quick tag. My desk this morning is in a poor state. It is totally staged (although the photo was actually taken this morning for a change). It shows the only things that have been going on there in the last week: marking, although I have managed to make a couple of tags and am just about keeping up with Inktober. After sharing two lots of card ideas for men and boys, I thought I'd bring you some suitable for young girls. These were all made for my great niece who is now 7, apart from the first birthday card, which was made for a friend's daughter (see HERE for details). I thought I'd share five more birthday cards that I have made which are suitable for men or boys, following the popularity of my last post on the subject. The first one is suitable for a motorcycle buff (see HERE for details). As we approach the 100th anniversary of the Armistice which ended the First World War, I decided to use friendship and peace as a theme for my tag for the Flags/Bunting challenge over on Tag Tuesday. The prompt for this month's mini mission over on Mission Inspiration is Shelter. As usual, I completed a tag for my tag journal. It's my youngest son's birthday today. As I have three boys, I have made a few masculine birthday cards over the years. They are all young men now and I often get asked for ideas. Here are five of my favourites. This card is perfect for a tech savvy young man (see HERE for details). For the very first time, I have been taking part in #Inktober2018 and thought that I'd share my journey up to the half way point of the month. I am not a confident drawer, especially with ink, and have made a light under drawing in pencil each day before committing myself to inking. Sometimes I have kept things simple and cartoon like and sometimes I have attempted a more artistic effort with shading. There are lots of alternative prompt lists available, but for my first year, I have kept to the official prompt list. I have used a fine, black Posca pen for inking each day. I must admit as I share my desk today, that I am really looking forward to the half term holidays. First of all because I seem to be tired all the time these days and am ready for a break from work, and secondly because the first Sunday (28th October) sees a mini WOYWW get together in the shed as arranged at the crop in September. I haven't forgotten and will be letting people who said they could make it know my address (several already have it) via PM on Facebook. Please confirm in the comments and let me know if you need me to send you information. I am thinking of 11am until 3pm. Luckily clocks go back that weekend, which hopefully allows extra travel time without having to get up earlier than normal. My side of the desk shows what it looked like yesterday morning after completing day 16 of #Inktober2018. It is the first time that I have participated and I am enjoying it so far. (I will be sharing day 1 to day 16 on my blog tomorrow if you fancy popping back.) I keep my supplies in the Kipling pouch that you see on the desk. You can also just see the wand that I made for Harry Potter day at school on Friday, peeking out from behind the journal (see HERE for how it was made). This week my coconut latte is in one of my Moorland Pottery Stoke City mugs. The other side of the desk is unfortunately empty! There was no Eva yesterday (she will be popping in tomorrow), so I am sharing the picture from last Thursday of the stamping stash that she brought back from Port Sunny with her! It looks as if she managed to find plenty of stamps that she liked lol. Off to work shortly (7am) so will visit when I get home. In the mean time, if you pop over to The Stamping Ground, you will find plenty more desks to look at, as well as exciting news about the 10th anniversary crop. I was recently inspired by a beautiful DL card that I saw on Facebook designed by Lizzie Dzadiak using the Angel Wings stamp (and die) by Gemini from Crafter's Companion. I decided to make my own angel wing DL card. This week's prompt over on Nina Ribena's Art Journal Prompts and More is Inspired by Portraits. The artists to choose from include Pablo Picasso and Frida Kahlo. As I have previously created a page inspired by Frida Kahlo (see HERE) and I am not the most confident portrait drawer, I went with Pablo Picasso, using an image from Nina's YouTube video as my starting point. To celebrate reading, our school will be holding a Harry Potter day on Friday. As this will entail dressing up, I thought that I had better make myself a wand. Having seen a few YouTube videos where a chopstick and hot glue were used as the basis for such a project, I thought that I would have a go at creating one for myself. Having raided the pantry for chopsticks, I made a start. I decided to make a more masculine journal cover using the Wrapped Journal Bigz die designed by Eileen Hull for Sizzix. I have made one before (see HERE and HERE) but it was more feminine in appeal. Today I am sharing the inside on which I built up a cool wood effect. W is for Water colours and Water soluble oil pastels! These ATCs were created for a swap over on JJAMMMA (Junk Journals and Mindful Mixed Media Art). The prompt letter was W, so I thought it would be the ideal time to try out my latest purchases, a box of Van Gogh water colours and some water soluble oil pastels both from Royal Talens. As usual, I stuck to using stamps from Claritystamp on my ATCs. This page was created especially for my weekly art journal, following prompts over on Nina Ribena's Art Journal Prompts and More. September's prompt is Art Journal Frenzy and the sub prompt for week 5 was Texture/White space.